Our goal is to get in and out as quickly as possible to allow production to continue with as little disruption as possible. 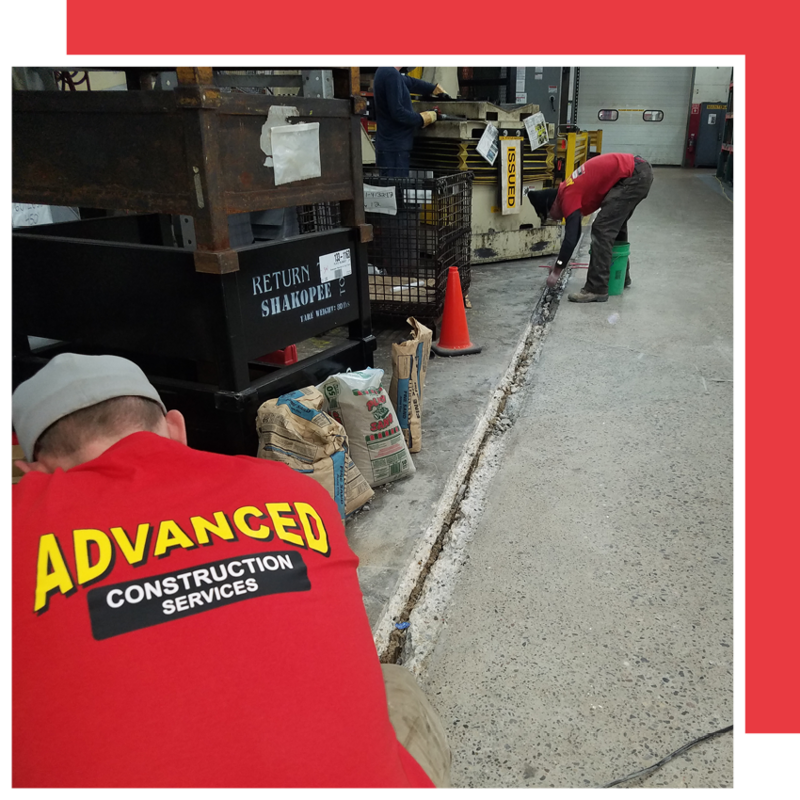 Our team lifts any uneven sections of concrete to make a smooth, even surface. With a map of your floor and careful calculations, we’ll raise the floor or fill the void beneath the floor with polyurethane foam. You can even begin working on it as soon as we’re finished. Coating your concrete gives your floor a more attractive appearance for your guests and employees. 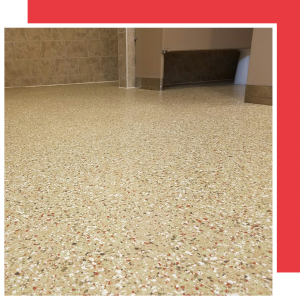 Concrete coatings also strengthen your floor and improve health and safety issues, as well as reducing maintenance and cleaning time. Let’s get your warehouse concrete floors back into a safe, working condition. Over time, temperature, routine forces, and accidents can cause cracks and separations in concrete. We’ll help fix this. Our team levels, repairs, and coats industrial warehouse flooring to give your staff and visitors a safer working environment. Industrial manufacturing floor slabs endure harsh conditions including heavy equipment, steel-wheel forklifts, vibrating equipment, etc. These conditions result in damage to the concrete surfaces, joints, and nosing. Damaged industrial concrete creates safety hazards, is hard on equipment, and inhibits and can even stop production. Our goal is to get in and out as quickly as possible to allow your production to continue with as little disruption as possible. 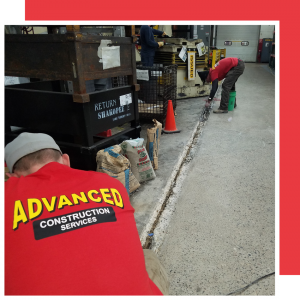 Our team lifts any uneven sections of concrete to make a smooth, even surface. Damaged areas are cut out using dustless equipment to limit disruption in production and save on clean-up time. A bonding agent is applied and a polymer mortar (Floor Fix) is installed. The Floor Fix is ground flush with the adjoining floor surface. Control joints are re-cut and filled with polyurea (RS-88). Your employees can continue to work around our area while we repair your floor, and repaired floors can be driven on 15 minutes after install. Uneven concrete is a safety hazard. Luckily, lifting and leveling concrete is one of the things we do best. We can even work with hidden obstacles in your concrete. Our x-ray technology equipment locates in-floor heating, wiring, pipes, and rebar imbedded in the concrete floor. 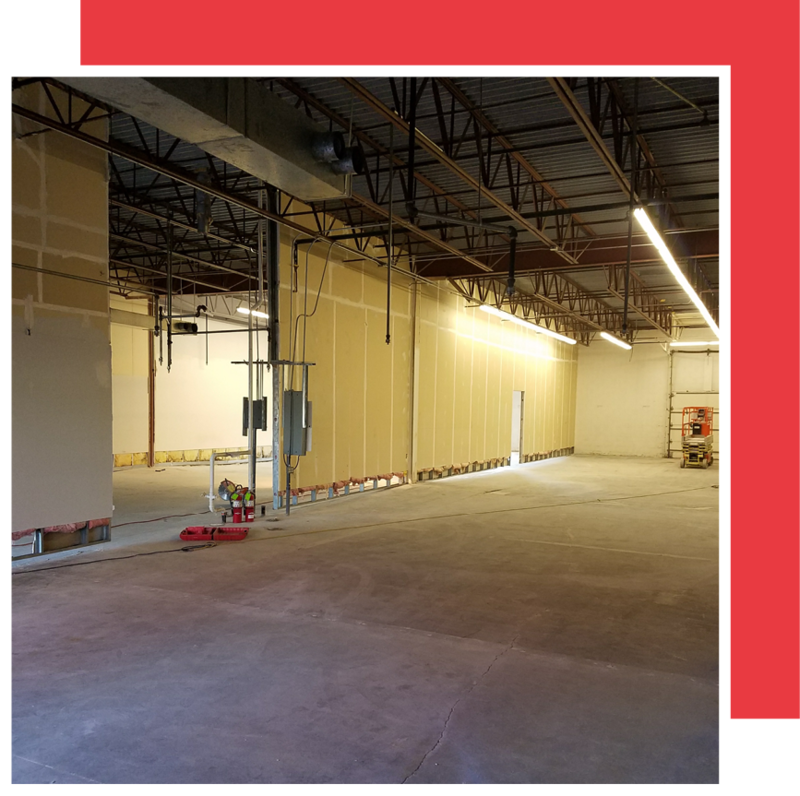 With a map of your warehouse floor and careful calculations, we’ll raise the floor or fill the void beneath the floor with polyurethane foam. You can even begin working on it as soon as we’re finished.